It's OK to Kill These Plants! Whether to recommend removing (killing) a plant is a dilemma our Kemper Center for Home Gardening Plant Doctors often face. Sometimes we have to tell a patron don't cut down your sweetgum tree just because you don't like the gumballs. Weigh the good with the "bad" and maybe you will decide that you can put up with a little inconvenience for all the good your tree brings. Other times, it seems we have to give a patron "permission" to remove a plant. We have to say, "It’s your yard and YOU CAN KILL ANY PLANT THERE." That being said, there are some plants more worthy of elimination than others. The examples below offer a general framework for such decisions. Plants that could harm structures, people, other plants, or the environment are the most obvious candidates for control or elimination. A plant can just be in the wrong place. An earlier misguided planting or a volunteer can becomes too big for the location, crowd more desirable greenery, block a window, interfere with power lines or even crack foundations. They must go! 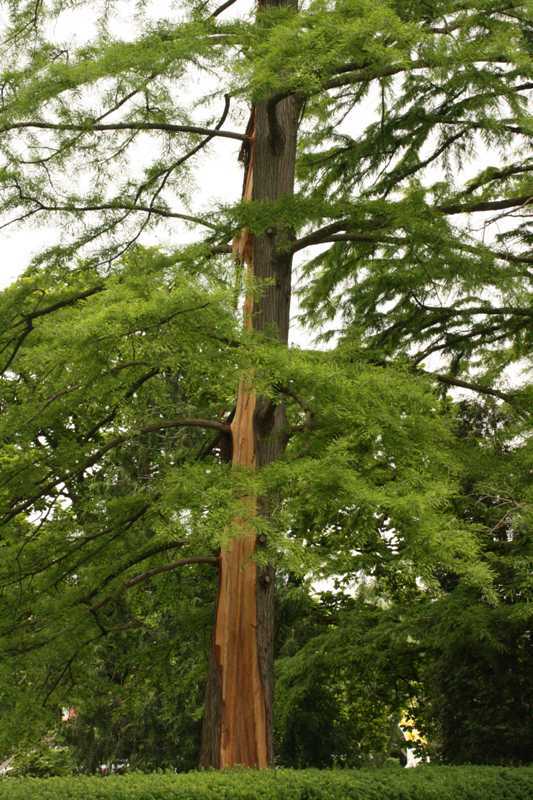 One of the more difficult decisions is what to do with a tree that might threaten your or your neighbor’s property because of location, size, disease, or storm damage. You may need to consult a professional arborist. In the St. Louis region, many professionally trained arborists are members of the St Louis Arborists Association. An internet query of that organization will provide a membership listing with locations. Select one or more for an on-site consultation to explore options. 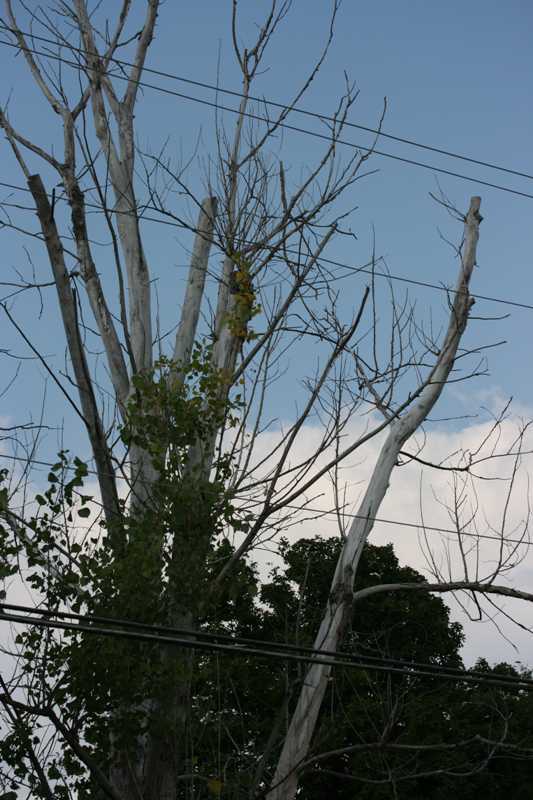 In other areas, your local extension service may be able to suggest trained arborists. Bamboos are grasses. Ornamental bamboos are generally divided into two groups by their growth habits. “Clumping” bamboos have growth habits similar to the more robust ornamental grasses, spreading slowly over time. That growth rate is manageable. Then there is “running” bamboo. With very few exceptions, running bamboo in your yard is in the wrong place. Once established, it can send out underground runners of 6 feet and more annually. Mowing the new vertical sprouts does nothing to the underground runner. Without effective containment, running bamboo will spread far beyond anticipated boundaries. If bamboo is a must for your gardening plan, choose a clumping variety. Before you decide to plant running bamboo, or if you already have it and wish to eliminate it, consult the MBG Garden Help website: Controlling Bamboo. There are plant diseases and plant pest infestations for which there are no known satisfactory remedies. 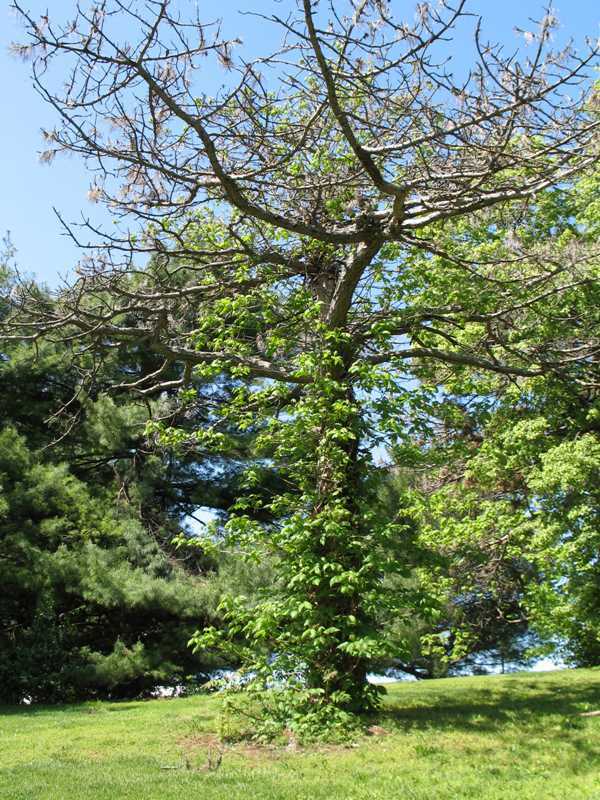 For some, there may be temporary treatments that only delay the plant’s death. For others, the disease or infestation may not kill the plant, but will eliminate the reason for which the plant was obtained. For the following three diseases, and for other diseases with similar severity, removal is usually the best solution. Prompt removal of infected plants can sometimes save other susceptible plants from the same fate. Roses with rose rosette disease possess distinctive symptoms. 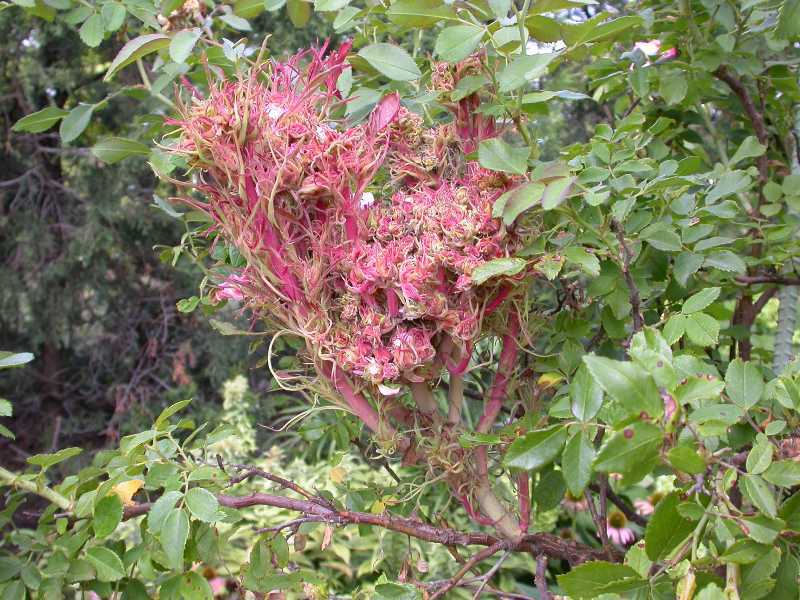 Abnormally fast growing and sometimes twisted red shoots and foliage, tight clusters of small shoots (witches’ brooms), spiraling canes, thickened almost rubbery stems with enormous quantities of thorns, and small distorted leaves, are all common symptoms. Inevitably, the plant dies. Rose rosette disease is caused by a virus transmitted by a mite. The transmitting mite cannot fly, but can crawl to adjacent roses if two plants touch. The mites are tiny enough to be carried from one rose to another by a breeze, hands, pruning shears, or another insect. Once you discover an infected rose, check all roses. Eliminate those infected to reduce the chance of additional infections. Thorough cleanup is necessary. Still-living root pieces remaining from the diseased rose can infect the next rose planted in that spot. Diseased plants should be bagged and disposed of in the trash. Do not compost. If you have an North American native ash, start thinking about replacement. Native white and green ashes are planted extensively in residential and community areas throughout the United States, and there are seven other American ashes. 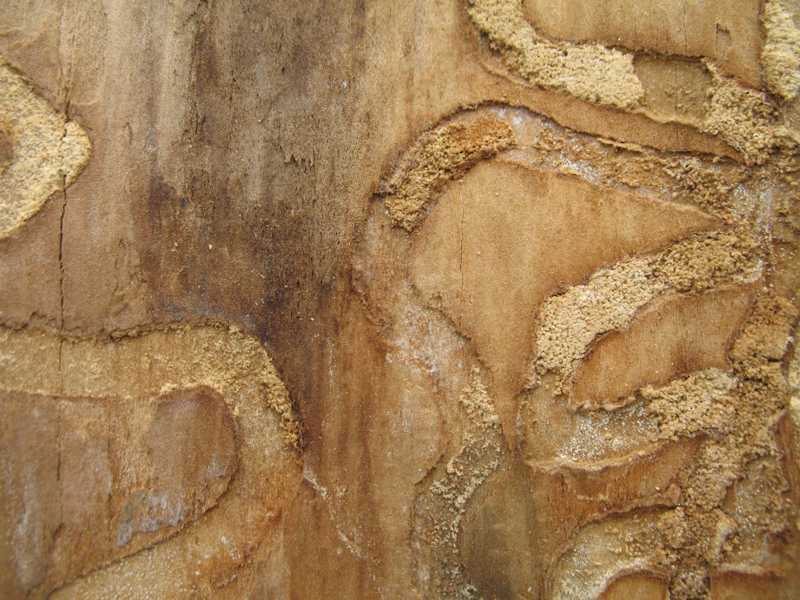 Now, a small beetle introduced from Asia into Michigan in 2002, the Emerald Ash Borer (EAB), is spreading rapidly, attacking and killing all species of American ashes. 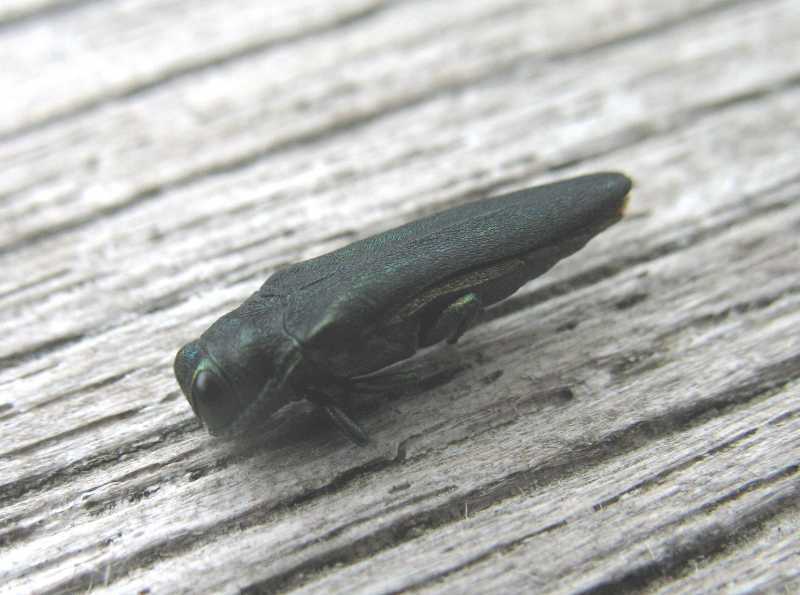 The EAB larvae (the immature stage of the beetle) feeds on the inner bark of ash trees, disrupts the tree's ability to transport water and nutrients, and kills the tree. EAB is now established in Missouri and most surrounding states. Multiple millions of ash trees have already been killed. While there are chemical treatments that extend the life of infected trees, such efforts are expensive and not viewed as a practical long term solution. 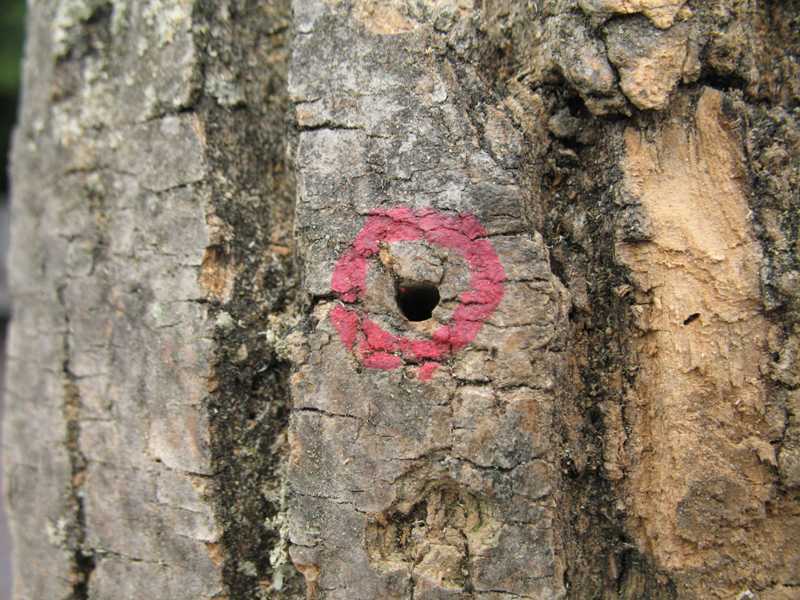 When EAB enters your county or, are within 10-15 miles of your ash tree, start replacement planning. More information about the EAB. There are a number of great replacement candidates for your ash trees. We recommend our Visual Guide on "Native Replacements for Ash, Siberian Elm and Other Shade Trees." For more choices, consult reliable nurseries and websites, including our MBG Plant Finder site. At that site, scroll down to ‘Advanced Search’ and enter ‘tree’ under ‘plant type’, then scroll further down to ‘Quick Search’ and select ‘Plants of Merit’ or ‘Tried and Trouble-free”. Aster yellows is a disease caused by a phytoplasma, a tiny, highly specialized bacteria that infects the plant’s phloem (circulation system). The disease is transmitted by sucking insects such as leafhoppers, especially the aster leafhopper. When a leafhopper feeds on a plant infected with aster yellows, it becomes a carrier of aster yellows, much as a mosquito can become a carrier of malaria when it bites a malaria victim. When that carrier leafhopper feeds on a healthy plant, it injects phytoplasma cells into the plant phloem, infecting that plant. Susceptible plants can show symptoms in as little as 10 days. Symptoms include yellowing of the leaves while the veins remain green. Growth slows down and leaves may be smaller and more narrow than usual. Foliage can be curled. Flowers may not produce seeds. The symptoms of the disease will often differ depending upon the species infected. Carrot roots may be bitter and hairy; lettuce may show pink or tan spots and have twisted inner leaves. Once a plant is infected with aster yellows, it’s a lost cause; the disease is incurable. Quick diagnosis and removal of infected plants can reduce the spread of the disease. Although the disease is not fatal, it prevents the plant from fulfilling its intended role in the garden. Avoiding aster yellows is a challenge. 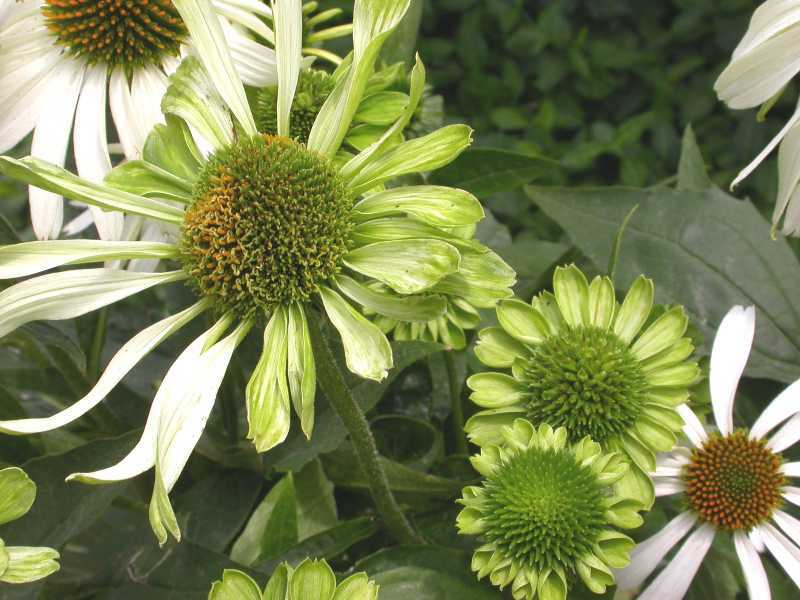 This disease affects over 300 species of plants, including ornamentals such as aster, coneflower, zinnia, marigold, chrysanthemum, petunia, and snapdragon. Edibles affected include lettuce, carrot, tomato, and celery. Planting less susceptible plants, such as verbena, salvia, nicotiana, geranium, and impatiens may help. 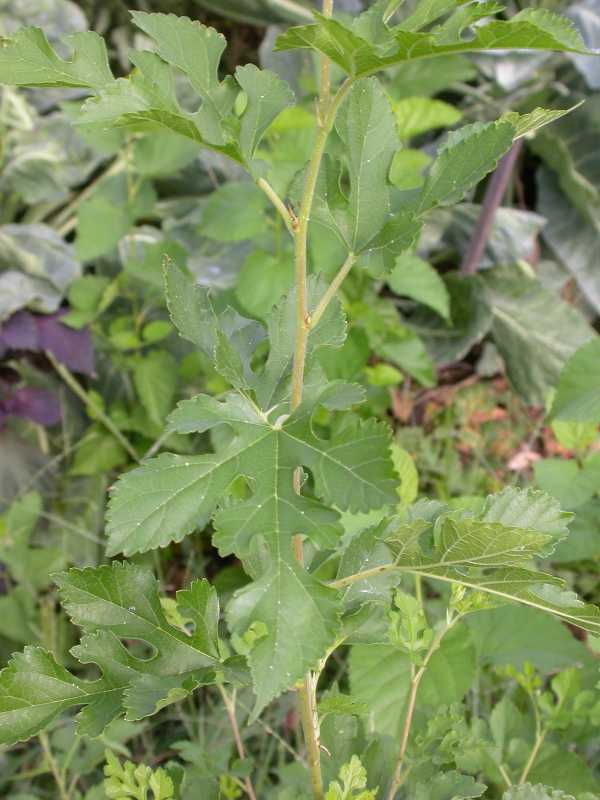 Eliminating susceptible weeds such as plantain and dandelion is also useful. Every yard has volunteer plants brought in by birds, animals, wind and water. The list of such potential garden volunteers is virtually endless: Their only common denominator is the fact that you did not plant them. Some may be welcome, others definitely not. It’s a good idea to go through your yard identifying and pulling volunteers at least once a year. Among those volunteers you may find are oak, elm, ash, maple, wild cherry, mulberry, bald cypress, hickory, Bradford pear, Russian olive, autumn olive, crabapple, Japanese vining and bush honeysuckles, yew, winter creeper euonymus, English ivy, wild grape, and many, many more. If you can correctly identify your volunteers, you may find desirable candidates worth keeping. All you need to do is properly site them. This native North American vining plant provides food for birds and other animals. The seed bearing fruits and leaves are eaten by many mammals and birds. Seeds remain viable as they travel through the digestive tracts of these creatures, are subsequently deposited in your yard, and sprout readily. 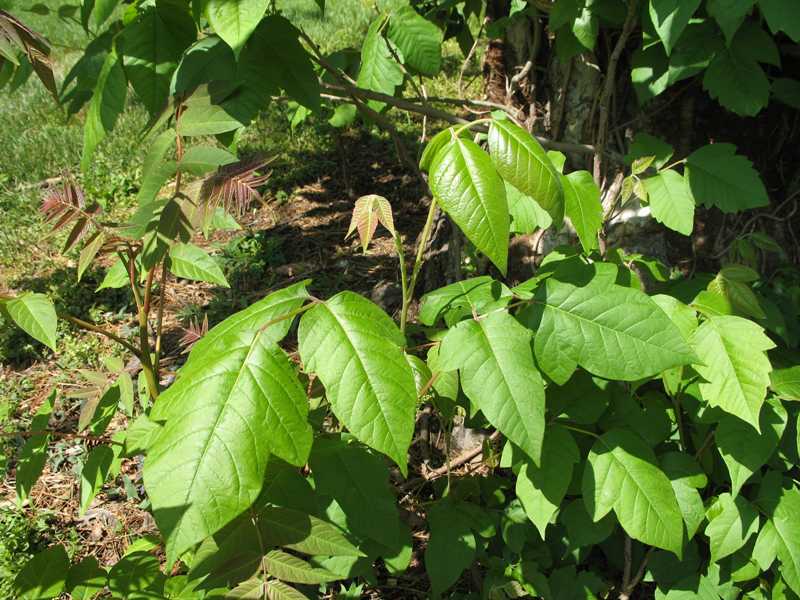 Poison ivy is a truly noxious invader in a yard. It grows rapidly, has a deep and strong root system, and is hard to eradicate when larger. Most people are sensitive to the oil that permeates the poison ivy plant. Anything that brushes the plant can transmit traces of oil to the skin and cause a serious rash. Even years later, dried plants parts may contain enough oil to cause a reaction. Avoid direct contact with exposed items and wash those items immediately. Wash exposed skin and pets quickly. Some over-the-counter medications may help if applied immediately after exposure. Learn to recognize poison ivy. At least once a year search out, remove and discard it. Don’t burn it. We have purposely brought most of these plants into our country, only to find, over time, they have created serious environmental problems. Many produce small seed-bearing fruits that are eaten by birds and other animals, and the seeds are then spread through droppings. These invasive plants are proliferating, outcompeting, and eliminating native species and the wildlife dependent on them. One example is the Bradford (Callery) pear. With beautiful spring blooms and no messy fruit, it became hugely popular. Some eventually hybridized with relatives, and their offspring began producing large quantities of snack-sized fruit just right for bird consumption and seed transport. These often thorny, heavy-fruiting rogue pears have become a major pest, proliferating in parks, recreation, and natural areas throughout their range; crowding out native and other more desirable species. If you have a fruiting Bradford pear, it is certainly OK to remove it. The Bradford pear is only one example of plants we welcomed into our country and our gardens that are now producing serious problems. As with the Bradford pear, that are proliferating, outcompeting and eliminating native plant species and wildlife dependent on them. A few of these invasive plants likely to be found in a residential setting include autumn olive (Elaegnus umbellata), bush honeysuckles (Lonicera maackii and Lonicera x bella), the vining Japanese honeysuckle (Lonicera japonica), Russian olive (Elaeagnus angustifolia), golden rain tree (Koelreuteria paniculata), purple loosestrife (Lythrum salicaria), wintercreeper (Euonymus fortunei),and English ivy (Hedera helix). And there are many more highly invasive exotics than just these few cited here. Two reliable web sites listing these and other pest plants are: MBG Exotic Pest Plants and Invasive Plants Missouri Department of Conservation. It is not a good idea to encourage these and other such invasive species by maintaining them in your plantings.